Price Drop! Was: $49.99 Now: $26.99 . For a limited time only, while stocks last. 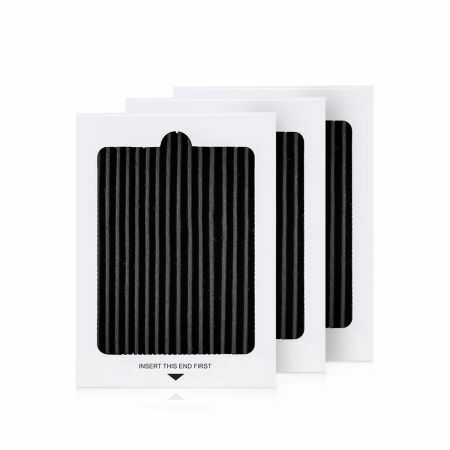 Maintain an odor-free and healthier refrigerator with our brand-new Electrolux Refrigerator Air Filter EAFCBF, Frigidaire PureAir Ultra PAULTRA Air Filter, 3 Pack! Featuring premium activated carbon, this Frigidaire PureAir Ultra refrigerator air filter can rapidly absorb the unpleasant odors, including the smell of onions, garlic, fish, and stale milk, leaving fresh and sweet air in your fridge. Through the state-of-the-art technology, this Frigidaire PAULTRA air filter can also control the humidity of your refrigerator, effectively preventing bacterial growth in the food. 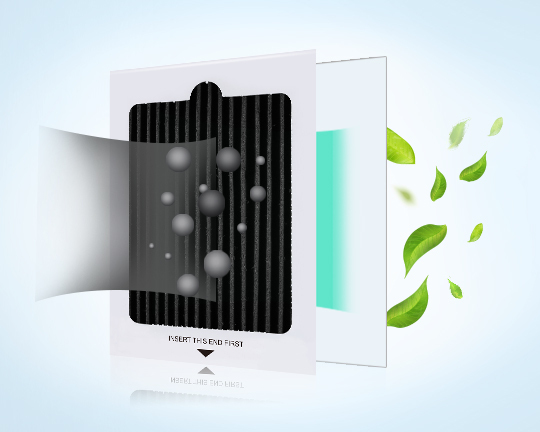 With a long lifespan of up to six months, the Electrolux EAFCBF air filter replacement can save you the money and hassle of frequently changing air filters. For your peace of mind, our easy-to-install Frigidaire PureAir Ultra PAULTRA/Electrolux EAFCBF fridge air filter needs no tools to replace cartridge inside the refrigerator and the installation only takes a few minutes! 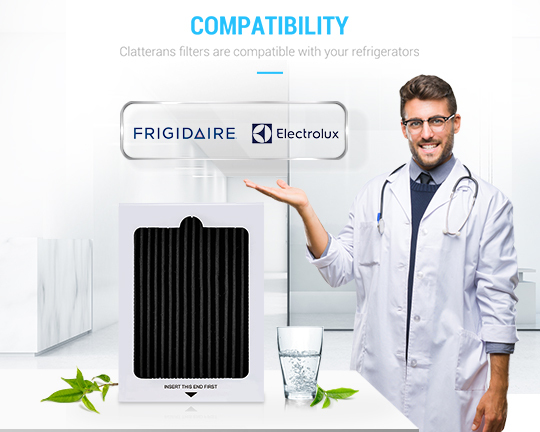 Purchase a new Clatterans air filter to keep your refrigerator always in a good condition! 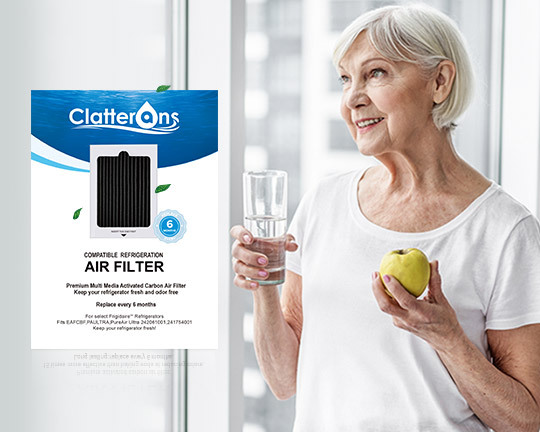 Clatterans Refrigerator Air Filters use state of the art technology to reduce odors, including the smell of onions, garlic, fish, and stale milk, and to control the humidity of your refrigerator. SIX MONTHS SERVICE LIFE-The air filter should be replaced every six months or when the indicator light comes on your LED control panel. Please change your refrigerator's air filter when you change the water filter. 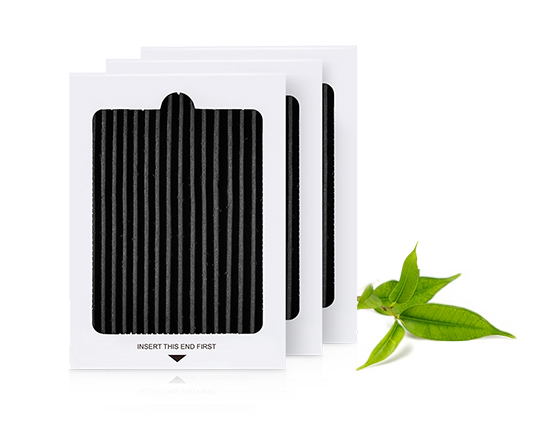 EASY AND FAST FILTER REPLACEMENT-No tools needed to replace cartridge inside the refrigerator and it only takes a few minutes. Compatible with PureAir Ultra 242061001, 241754001, 241754002, 242047801, EAFCBF, PAULTRA, PS1993820. 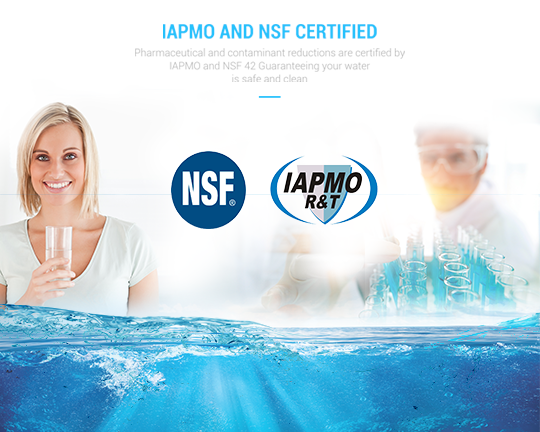 For your peace of mind, our Electrolux Refrigerator Air Filter EAFCBF, Frigidaire PureAir Ultra PAULTRA Air Filters with up to 6-month longer life are quality approved by IAPMO and NSF to serve you cleaner, fresher, better-tasting and wholesome water. Frigidaire PureAir Ultra PAULTRA refrigerator air filter works good! This worked great with my Frigidaire refrigerator, now if only they were less expensive. Will stock up on the next Clatterans sale! Great filter, cheaper than the store! Great filter for a better price. I researched these filters for my refrigerator and found this one cheaper than going to Lowes. When it got here I compared it to the factory filter and I can tell no difference. Perfect fit/replacement for the air filter that came originally with the Frigidaire fridge. Good value. Works as advertised. Thumbs up. Merry Christmas! Working just fine after 1.5 months. The name brand never lasted the supposed six months, so these are clearly worth it. Thank you and Merry Christmas. Exact replacement filter at a great price. If your fridge takes this filter and you need new filters...just hit the check out button and get it over with. These are the air filters required by the manufacturer of our refrigerator. Shipping is always prompt and I order the most economical amount. when I put the last one in I order more, so I am never without a replacement filter.